This much-anticipated event, on Saturday, June 30th, at Arté Art Galleryhas very limited seating available, so you'll want to get your RSVP tickets now! (link below) We're convinced, you will leave this intimate and lovely event, tucking away thoughts of what was seen and heard, to live in your heart as one of your most positively memorable and beautiful experiences. These memories will be even more special for knowing you are a kind and benevolent supporter of the arts and that the tremendously worthy recipient of your favor is the Roene B. DiFiore Center for Arts and Education. The Roene B. DiFiore Center for Arts and Education was "established to influence, inspire with confidence and encourage young students to cultivate their artistic and creative desire to further their education. Their goal is to support and give incentive to those young people yearning to indoctrinate the fine arts as tools for learning. They believe it is essential that all children are given an equal opportunity for creative expression while discovering the joys of learning." 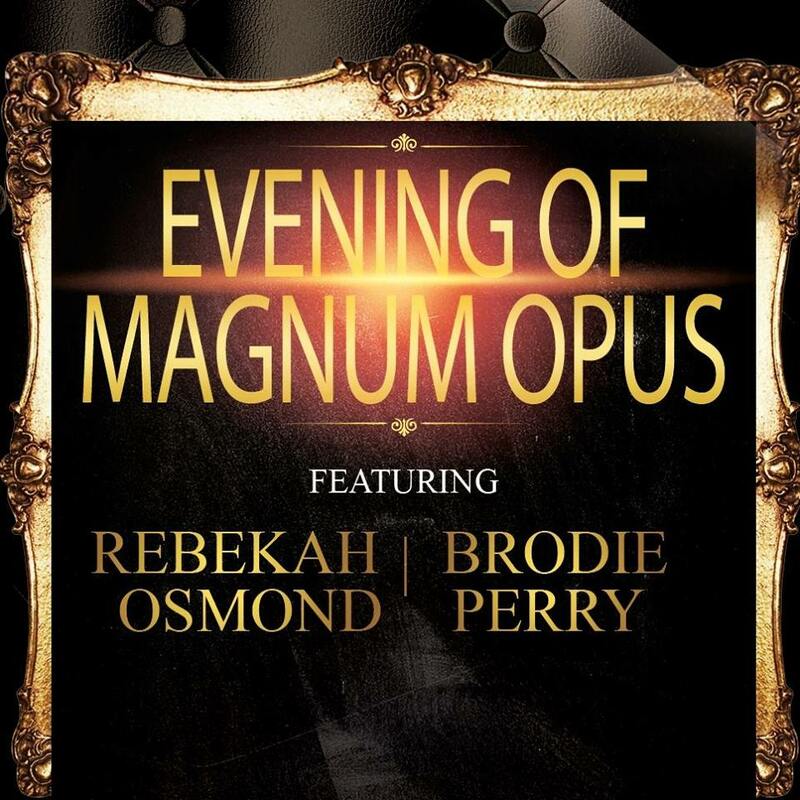 Our Evening of Magnum Opus will be the convergence of Fine Art, by some of Southern Utah's most talented artists whose creations are to be appreciated for their imaginative, aesthetic, and intellectual content, with the Performing Arts- truly stunning performances from our featured performers, Rebekah Osmond and Brodie Perry and so much more that you will love, the instrumental and vocal talents of other remarkably talented performers. When you hear somebody ask a composer, performer, writer or artist, "what is your magnum opus?" Their answer will be the name or description of what they consider to be a great work by them, especially their greatest achievement. Don't miss this unique opportunity to hear and see the "magnum opus" selections of many of our most talented performers, painters, sculptors, and more! Evening of Magnum Opus is about honoring them while we admire and enjoy their immense talents. It's about infusing a tremendously worthy cause with our support. It’s about doing our part to preserve the human connection that we share, no matter how much our world changes around us.